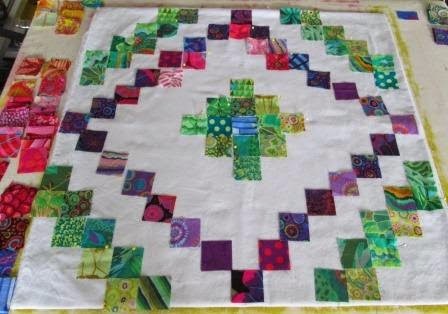 I did do some patchwork over the past 5 weeks but was just too busy to show it here. 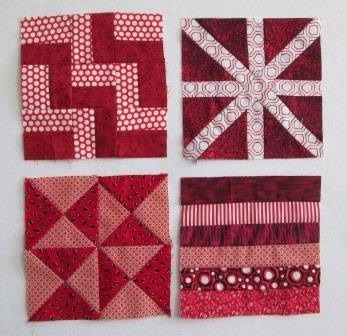 I have 4 pretty little red sampler blocks. I got them done the last week of July. Next up is the string triangles. 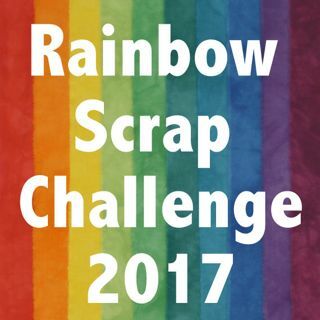 I have no idea how I will use these but they are added to the rainbow stash of blocks. 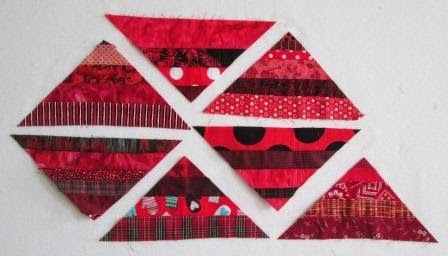 Here is all the red I did back in July for the Rainbow Scrap Challenge. I love these shots as it show I did get so much done in one month. 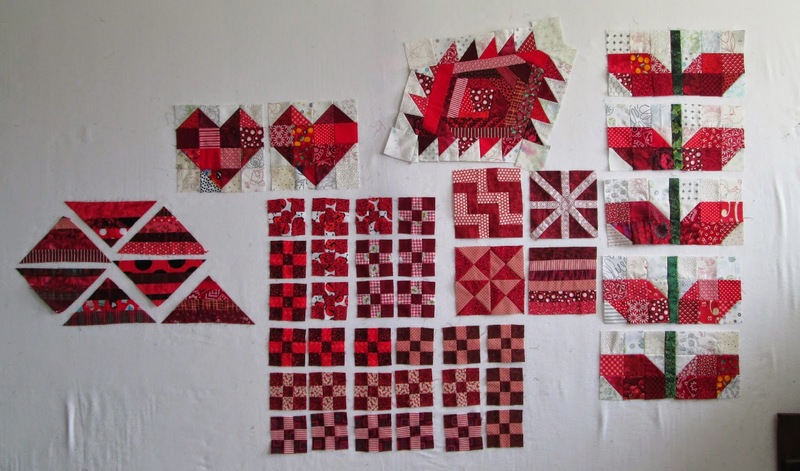 I have also sent some time working on my Dear Jane blocks again. 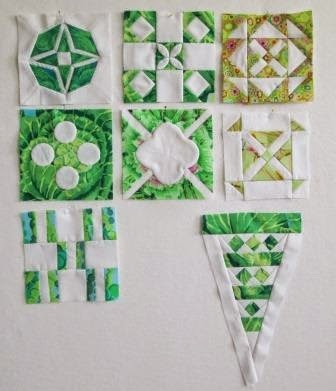 Aug was light Green so I worked at planning out my green fabrics and blocks. Here are the blocks I got done in green so far. I have a another handful started but not done yet. I see Sept is Orange. I have added my post to Soscrappy with Saturday fall brights. We had a great holiday, spending the last weeks in British Columbia. We drove and spent all our time with the dogs and staying in hotels. We had all our nights booked so we knew the dogs were welcome were we stayed. Here is Gemma and I at Lake Louise. She wanted to play in the water so badly. So many beautiful reds! Great progress on Jane as well. Such a lot of work in those tiny little gems. Good to see you posting again. Great work on the red. Your Dear Jane blocks look lovely. You did get some sewing done. I applaud anyone who attempts a Dear Jane. Looks like you are making great progress. Look at Gemma paws up as if she was saying please please can I jump in. 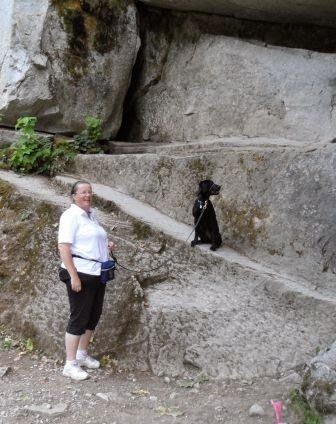 My dog Max loves to ride and is so good when we travel, it is hard to leave him at home, after all he is our baby. Your Jane blocks look amazing! It's fun to see them in such bright colors! What a nice quiltblocks and... wow what a view by the lake! Looks like a great vacation. Love all the reds and those DJ's are so pretty in green.